After months of speculation, the Mercedes F1 team have announced that Ross Brawn will leave his position of Team Principal at the end of this year. Brawn has been at the helm of the Brackley-based team since 2008, when they were Honda, and guided the squad through a championship-winning year in 2009 as Brawn GP. Mercedes bought him out for the 2010 season, and have been gradually reorganising the structure of the management within. 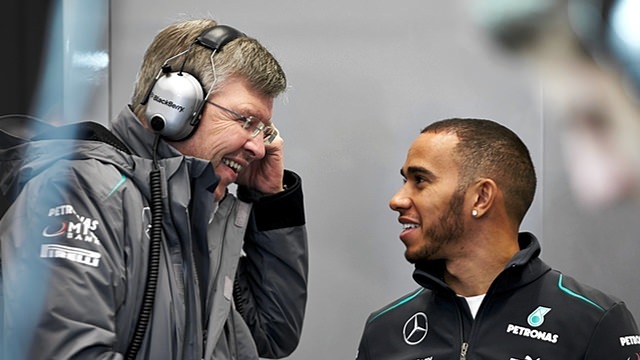 Mercedes drivers Nico Rosberg and Lewis Hamilton both paid tribute to Brawn’s work, calling him a great leader. There’s no word yet on what Brawn’s next step will be. Next story Pastor Maldonado to join Romain Grosjean at Lotus in 2014.